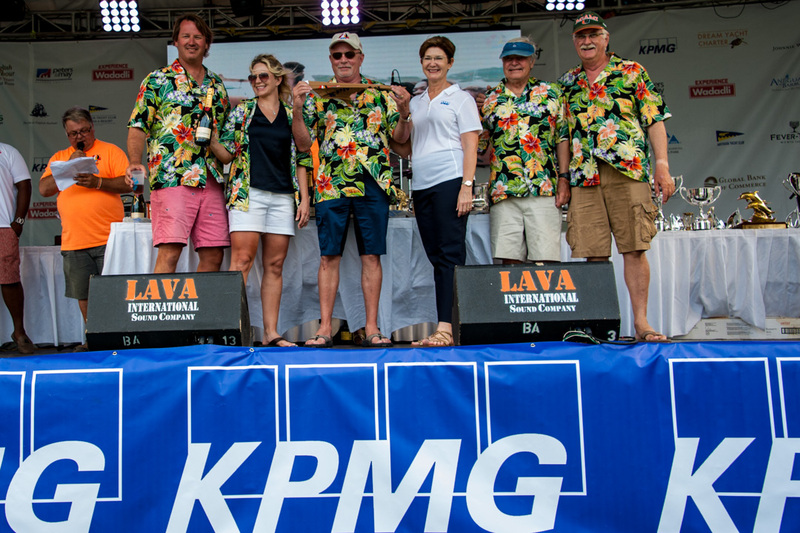 One final race was held on KPMG Race Day when over 100 teams enjoyed one last helping of heaven-sent racing to decide the class winners. 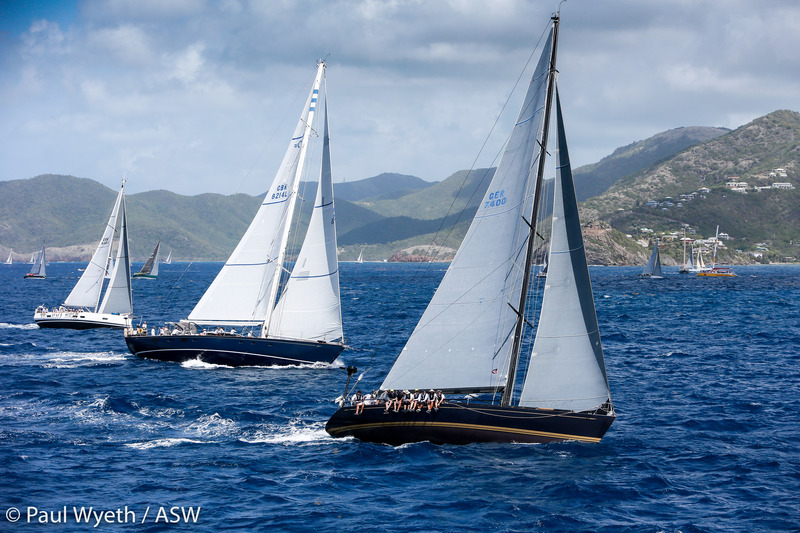 “We have had just wonderful steady conditions for Antigua Sailing Week again this year which meant that we could complete seven races for the CSA classes, which was one of our goals,” commented Lorna Saunders, Race Manager for Antigua Sailing Week. “Our Race Officers have responded well through the week and have provided both challenging, yet entertaining courses for all out on the water. The CSA measurers and Race Management have been working very hard to accommodate the rating challenges which presented themselves towards the end of the week; due mainly to gear failure. It seems the balance between time out on the race track and time ashore relaxing was successful. All-in-all it seems we have achieved another wonderful regatta,” continued Saunders. CSA 1: The turbo-charged American Volvo 70 Warrior, sailed by Stephen Murray, Jr. scored their sixth bullet for the regatta to take the class win by a handsome margin. 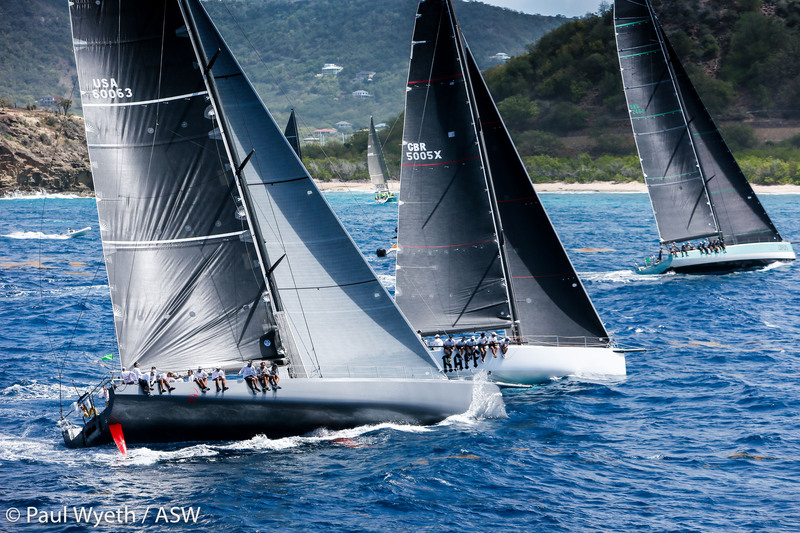 Stefan Jentzsch’s German Carkeek 47 Black Pearl was second, with Brian McMaster’s Australian Cookson 50 Riff Raff third. 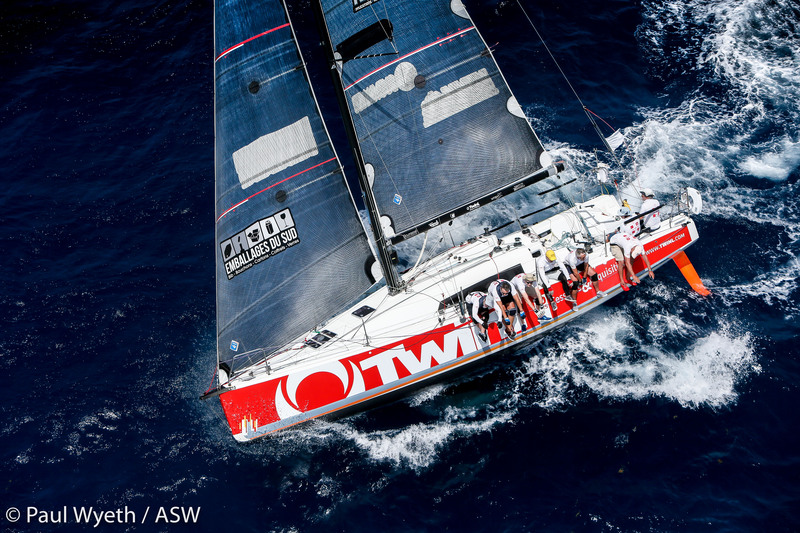 Multihull Class: Robert Szustkowski’s Polish HH66 R-Six screamed around the course today hitting over 25 knots of boat speed to win their fourth race of the regatta and the class. 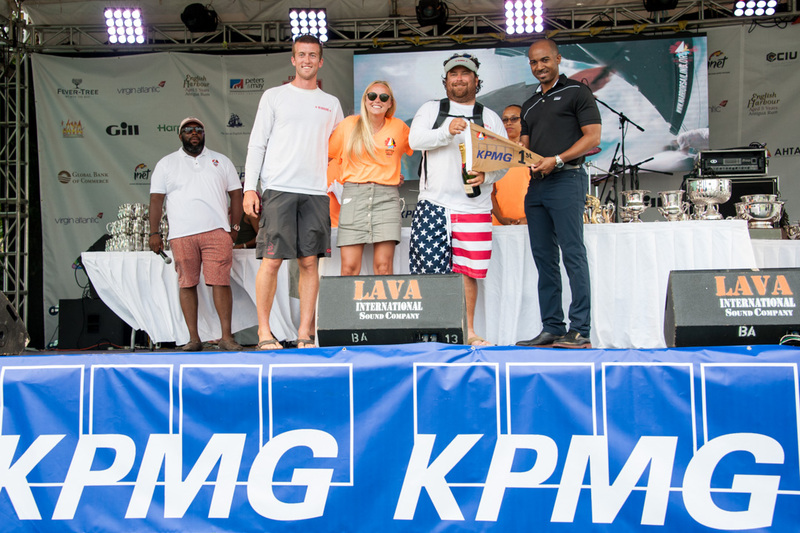 Seamus Hourihan’s American Gunboat 66 Thirst scored a second place on the final day to take runner-up for the class. John Streicker’s American Leopard 45 Spellbound was third for the regatta. CSA 2: Peter Harrison’s superyacht Sojana completed a perfect score of seven bullets today to win the class by a big margin. Enrico Gorziglia’s Italian Wally 60 GoodJobGuys was second today, lifting the team to third for the regatta. Lithuanian Volvo 60 Ambersail, skippered by Simonas Steponavicius was third after seven races; enough to retain second in class. CSA 3: Oyster 82 Starry Night of the Caribbean took line honours and corrected out to take the last race of the regatta. The overall series win went to Antiguan Farr 65 OnDeck’s Spirit of Juno, which was second. Juan Grunwaldt’s Uruguayan Bavaria 56 Caliope scored another podium finish to take third in class. CSA 4 Mark Chapman’s Trinnie One-Off Dingo won today’s race and in doing so took the class win by a single point. Bernie Evan-Wong’s Antiguan RP37 TAZ was leading going into the last race, but a rig failure meant that the team retired from racing, dropping to second for the regatta. Jeremy Thorp’s British GP42 Phan scored a second in the last race and Richard Matthews’ British HH42 Power of Love was third, but it wasn’t enough for either to catch up with Jean Michel Figueres’ French Farr 40 Perseverare Diabolicum which was third overall in CSA 4 for the regatta. 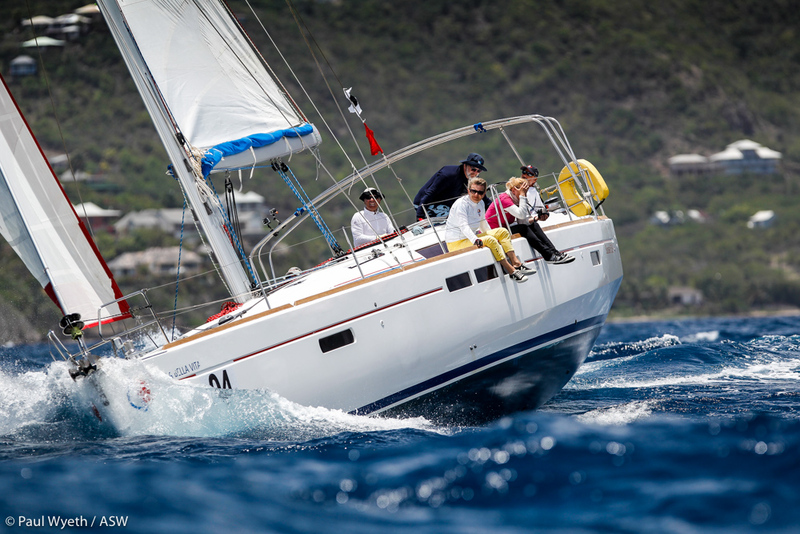 CSA 5: Jonty and Vicky Layfield’s Swan 48 Sleeper X kept up their perfect score, winning the last race to take even bullets throughout the regatta. Ross Applebey and Ossie Stewart’s Dufour 45 Scarlet Island Girl was third in today’s race cementing their second in class for the regatta. J/122 El Ocaso/Caribbean Yacht Racing Ltd, skippered by Kym Kapalla scored a second in today’s race, but it wasn’t enough to dislodge Rob Butler’s Canadian Reflex 38 Touch 2Play Racing from the regatta podium. CSA 6: Frank Loubaresse’s French Sunfast 3600 TwinL Jaws 2 was also successful in race seven on KPMG Race Day 5, and in doing so took the class win. Peter McWhinnie’s American Larchmont Yacht Club team racing, competing in their brand new JPK 1080 Leon was second and third overall in class. Carlo Falcone, racing with friends on board his Antiguan flagged Caccia Alla Volpe was third and finished runner-up in the class. CSA 7: A sixth bullet for the National Sailing Academy’s Cork 1720 secured the class win for teenage skipper Jules Mitchell and his crew on NSA Spirit. The young team from the Greig City Academy inner-London comprehensive school once again achieved a second place today; their third podium finish for the regatta. Irishman Dave Cullen racing J/109 Pocket Rocket was third today, and in class for the regatta. 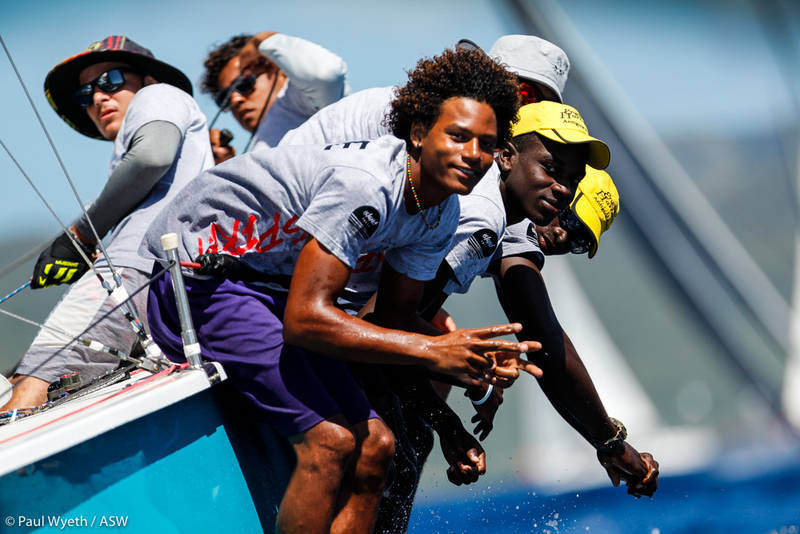 Raphaël Magras’ X-34 Maëlia CEPAC Antilles from St.Barths was fifth today which was enough to retain second for the series. 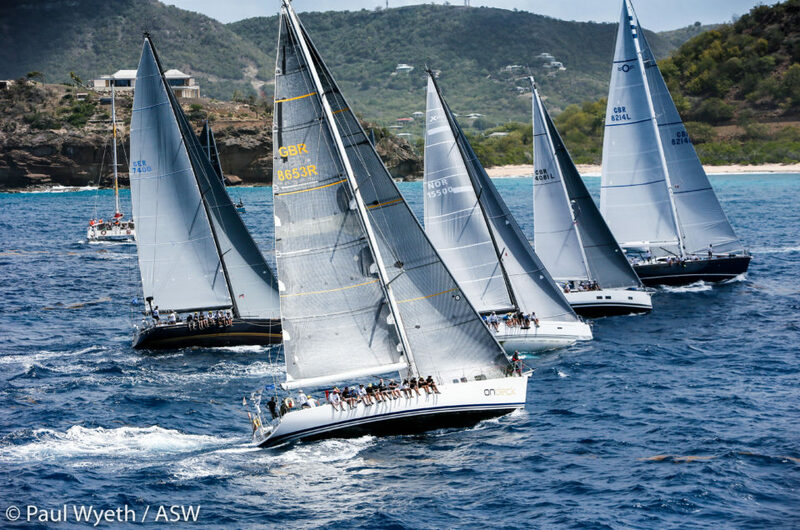 CSA 8: Sandy Mair’s Antiguan First 35 Cricket Anjo Insurances finished the regatta in style, taking the race win and lifting the team to third in class. Robbie Ferron’s Modified 6 Meter Biwi Magic was second today, enough to win the class for the regatta. 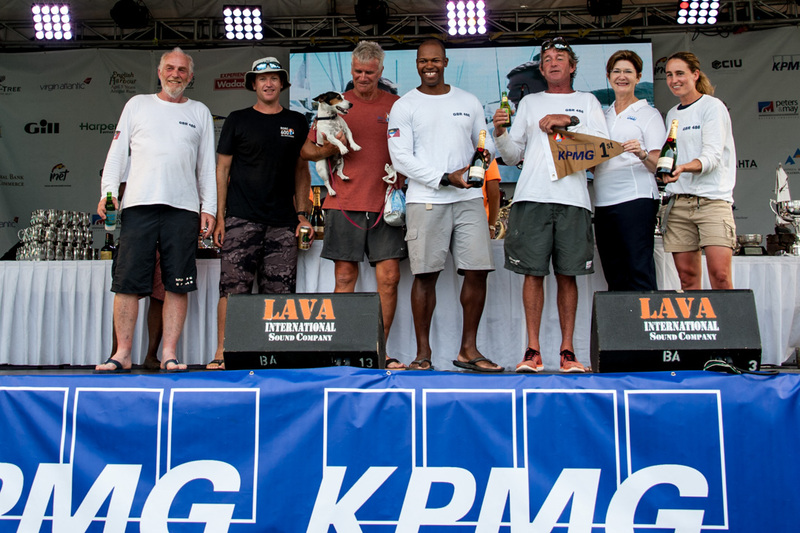 Geoffrey Pidduck’s Bavaria 42 Minerva was fourth, securing second place for the class and Tanner Jones’ Antigua J/30 Caribbean Alliance Insurance (Blue Peter) was third but missed out on the class podium on countback. Bareboat 1: Alexander Pfeiffer’s KH+P La Bella Vita won today’s race and the class. Pontini Velisti’s Bavastro was second in both the race and the class. Stuart Laurence’s Scream Away/ Windshadow was third in today’s race, but it wasn’t enough to take third in the series. Thomas Sparrer’s KH+P Kadans held onto third place for the class by a single point. In Bareboat 2, Francois Kunz’s Dufour 460 KH+P Anguilla won today’s race to secure the class win. 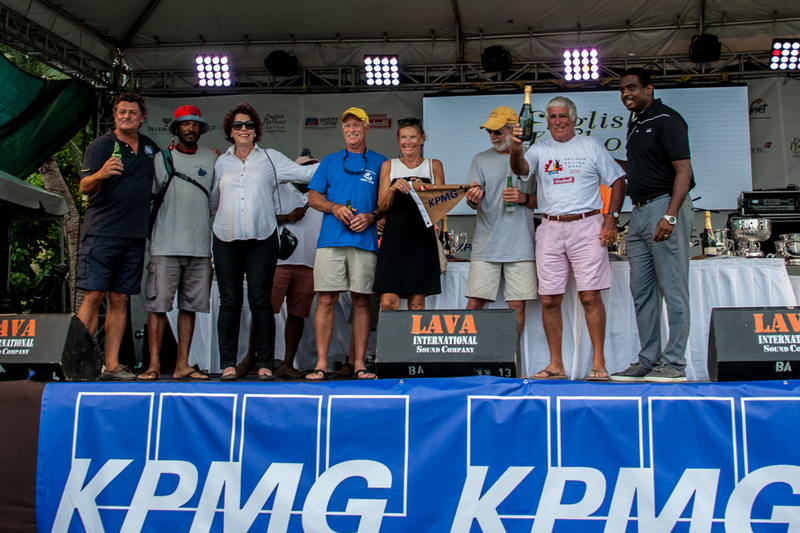 Rainer Kamrath’s Vanuatu was third today and did enough to take second for the regatta. Thorsten Meyer’s team on the Dufour 500 Rubens will be smiling today as the crew finished runner-up by just one second, snatching third by just half a point from Roland Graf’s Dufour 460 Culebra. Bareboat 3: The big showdown in Bareboat 3 was today’s race to win a very competitive class. Nicole Lameter’s all-female team KH+P Nardis took second place today, missing out on the class win by a single point. Jon Redding’s Hawking was third, but it wasn’t enough to take third for the class. That honour went to 80-year-old skipper Herbert Muenzel who was competing in his 37th Antigua Sailing Week as skipper of KH+P Curacao. Club Class: Marco Baioni’s Italian Dufour 405 GL PKBOO won today’s race, Ian Galbraith’s Scottish Oyster 53 Jigsaw was second and Jonathan Constantine’s British Feeling 39 Imagine of Falmouth was third. The result meant that Imagine of Falmouth was the class winner from Grahame Williams’s Bavaria 42 Full Monty. Jigsaw’s result today lifts the team to third for the regatta. Tonight’s glittering Final Awards Ceremony will be held in Nelson’s Dockyard and the UNESCO World Heritage site is a fitting location for the grand occasion. The most prestigious prize is the Lord Nelson Trophy, arguably the biggest prize in Caribbean sailing and the winner will be announced tonight. The high energy cover band 1761º will play live with DJ Purist spinning the dance floor long into the night. A few of today’s winners at the KPMG Race Day 5 prizegiving after racing: KHS&S Contractors/Cayenne (Michael Cannon/Neil Harvey); Warrior (Stephen Murray Jr); Cricket Anjo Insurances (Sandy Mair); Sleeper X (Jonty and Vicky Layfield). Credit: Ted Martin.